Round cornering large stacks of paper or card stock can be a time-consuming venture. 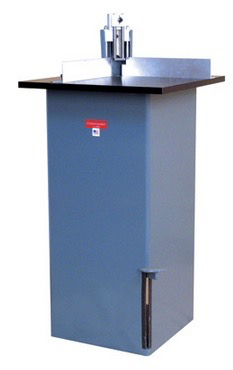 There are only a few machines on the market that can cut up to 2” stacks at a time. If you have a big project, the ability to process a large amount of material through a round corner machine can be really important. The primary manufacturers of round corner cutters are Akiles and Lassco. Akiles offers several electric round corner machines while Lassco’s 2” cutter is manual. Akiles makes 3 electric round corner machines that can handle up to 2” stacks of paper or card stock. We recently had a large project that called for creating custom plastic ID Badges and required corner rounding. 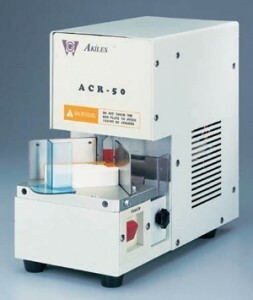 We used the Akiles Diamond 5 electric round corner machine to process about 2,000 pieces. What would have taken at least 3 days to complete was done in a day using the Diamond 5. It allowed us to cut stacks of ID Badges at a time speeding up production. The Diamond 6 and Diamond 7 can handle the largest stacks of paper with a cutting capacity of 2 3/4”. They can cut up to 600 sheets and 700 sheets respectively of 20 lbs. paper at a time. Lassco has a less expensive manual cutter that can cut up to 2” of paper at a time. The Lassco CR-55 is a typical indestructible Lassco table that operates using a foot pedal while you hold your paper in place to be cornered. Lassco is so durable, it is possible to pass down to generations. It’s great exercise too. corner roundingcornering machinesround cornerRound Cornering MachineRound Cornering Machine for Stack Paper. Heavy Duty. 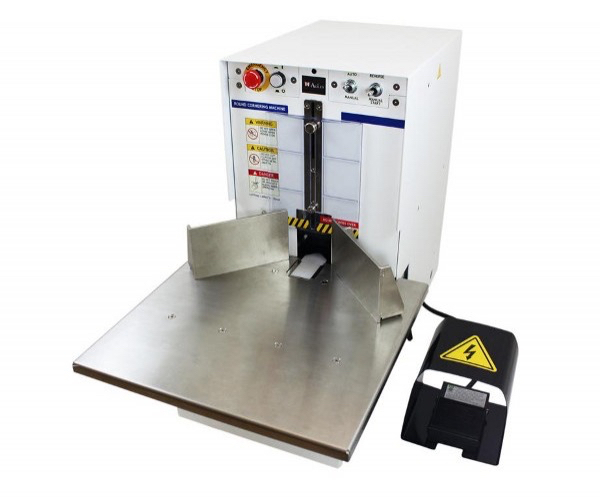 Previous Post:Looking for a UV Coating Machine?